One of the issues within my practice that I am still working through is the problem of exclusionary subject matter. This is something I researched through looking at Kara Walker’s treatment in her work and I have continued to research in artists working with mystical or occult ideas. 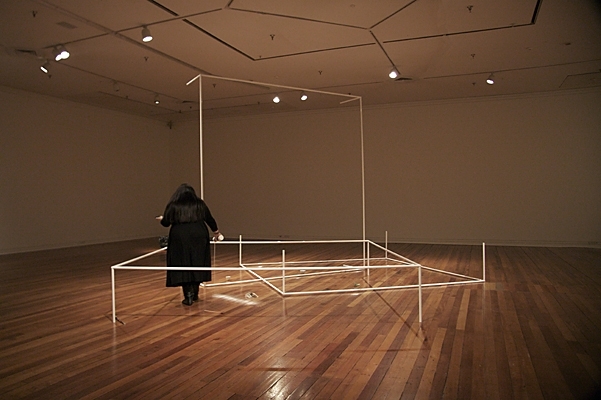 Australia artist Mikala Dwyer also deals with this issue of the viewer as outsider in her work. Because of the esoteric strangeness of the work, there is the possibility of the viewer feeling that taking the time to engage is too difficult, and that maybe some sort of complex trick is being played on them, the nature of which is only privy to a select cabal of initiates. What is actually going on? Should we be scared? It this really something other than what it seems? Clemens, J. Colless, E. Hansford, P. Long, D. Mathews, H. Michael, L. Ross, T. Campbell, K (2013) Mikala Dwyer: Goldene Bend’er. Southbank, Australia: Australian Centre for Contemporary Art. Dwyer uses formal elements to allow the viewer not just access to the work, but the opportunity to be part of it. In his talk “Frontier Spirits: Ghosts, Magic, and Colonial Half-Truths” (2013). Cranbrook Academy of Art, [Video], Anthony Byrt describes the use of circular spaces as choreographic parameters which restrain the work and create an area of invocation in which the work can be experienced. This appears to give the viewers access and permission to step inside a liminal space which might otherwise make them uncomfortable. Dwyer acts as a guide into the otherworld and leads the uninitiated across the borders; thanks to the artist the spectator can see. Mitchell, D. Gateway to the Etheric Realm (2011) Powder-coated steel, spell, spell materials. 6000 x 6000 x 3250mm approx. Radiant Matter II, Dunedin Public Art Gallery, Dunedin, New Zealand. Much the same as Dwyer, Mitchell acts as an artist on the threshold of worlds, using boundaries as parameters to contain liminal spaces. 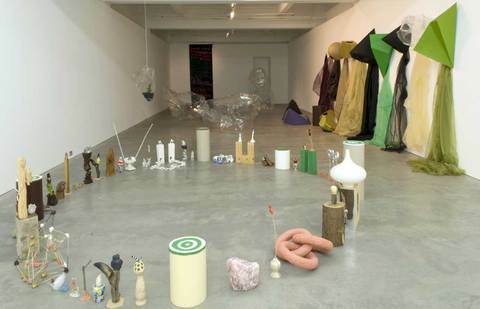 In his work “Gateway to the Etheric Realm” (2011) Mitchell uses a delineated space to contain a conjured spell. It is only the borders of the space that enable the viewer to know that the spell exists in this world at all. His use of vitrines, blown glass and mirrored boxes create boundaries within which his otherworlds exist and can be accessed. It’s noteworthy how much this feeling of being excluded can irritate the viewer rather than making them curious. Perhaps it’s an extension of the perceived inaccessibility of the art world itself where only the academic, the members of an elite art world can fully understand the work!